Is Hardware or Software RAID Best for Your Application? Now that you understand the different RAID implementations, here are some typical server deployment scenarios where you can optimize the RAID subsystem to meet your overall server price performance goals. 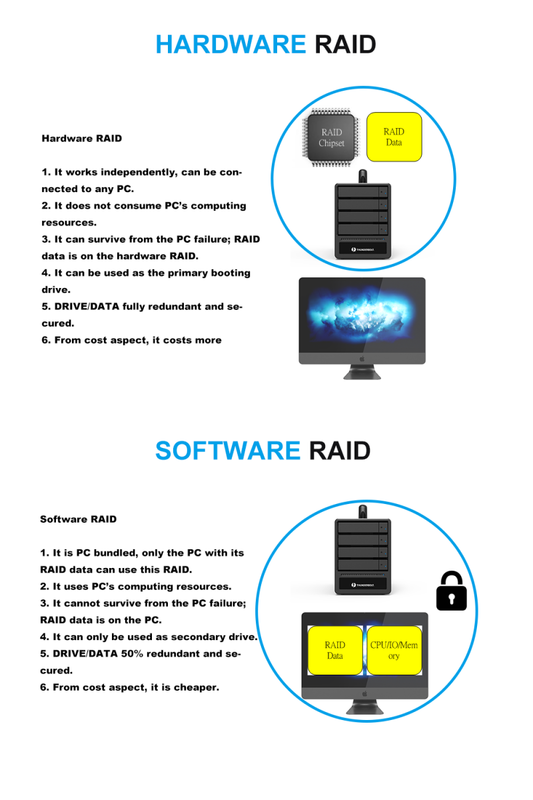 Pure software RAID solutions are best for entry-level RAID 0 or 1 where performance or data availability is key. However, software RAID cannot be used on the boot drive as the operating system RAID functionality is not available until after the OS boots. 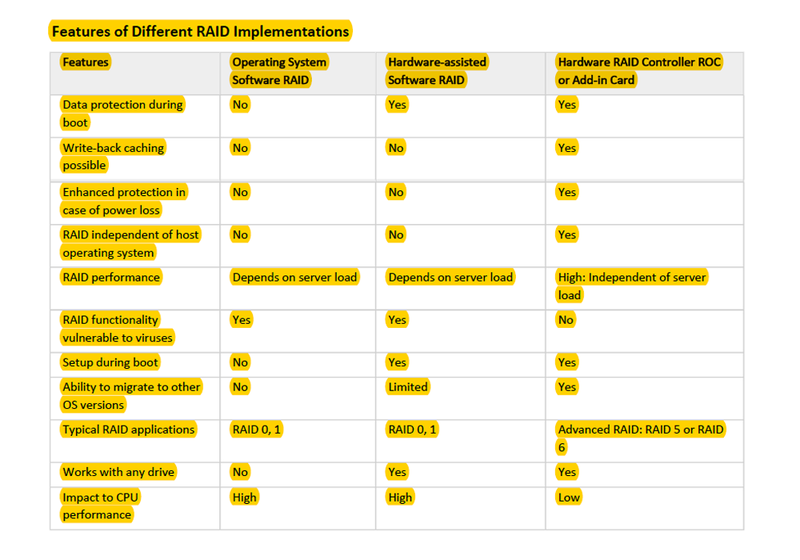 Hardware-assisted software RAID works well as a cost-sensitive solution, similar to operating system software RAID, but with bootability requirements. Hardware RAID solutions target the most feature-rich and highest performance applications. These solutions may be implemented as RAID on the Motherboard (ROMB) or with plug-in cards to scale performance and availability (controller redundancy). In general, hardware RAID offers more advantages over software-based solutions for more complex RAID algorithms. Measurements indicate that, for instance, software RAID-6 implementations impose a heavy load on system compute resources, especially in degraded mode. This makes hardware RAID attractive for such configurations. High performance workstations with large data storage requirements Entry level to enterprise servers requiring performance and scalability from the storage subsystem.